The Welsh county won a thrilling contest by just one run when the Eagles visited Cardiff in 2017 for their contest in the Royal London One-Day Cup. A superb 142 by Colin Ingram laid the foundations of what proved - only just – to be a match-winning total before some frugal bowling and spirited fielding thwarted the visitors run chase. Needing 68 from 8.5 overs with both Ravi Bopara and centurion Varun Chopra well set, it looked like Ingram’s efforts had been in vain, but Chopra drilled a ball straight back towards Craig Meschede. The catch went abegging but, in the process, the bowler deflected the ball onto the stumps with Bopara, who was backing up, stranded out of his ground. Two balls later, Meschede bowled Chopra as the former Warwickshire batsman played onto his stumps. Panic then set-in amongst the visitors’ ranks as the target became 43 from 36 balls with Michael Hogan and Marchant de Lange returning in parsimonious mode. A series of one’s and two’s followed, but without any boundaries as the increasingly frantic Eagles batsmen were put under pressure by the home bowlers. The upshot was that they entered the final over still needing seven to win, but an ice-cool spell from Hogan, plus a run out, helped Glamorgan’s cause as Glamorgan clinched a nail-biting victory. Glamorgan posted a far more resounding victory by 146 runs when the two teams met at Cardiff in July 2015. 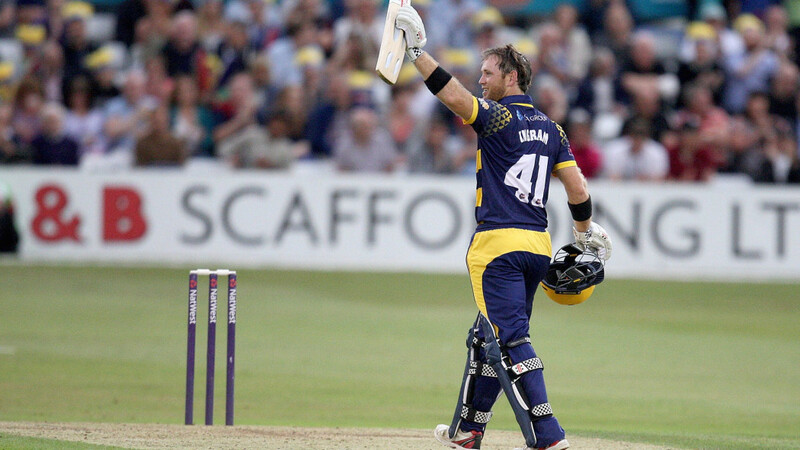 Once again, Colin Ingram made a masterly 130, whilst Graham Wagg weighted in with a quick-fire fifty as Glamorgan amassed a competitive total of 288 in their 50 overs. The visitors were never in the hunt as they subsided to 63-6 against the home seamers, and only a composed 47 from captain Ryan ten Doeschate spared the Eagles blushes of an even heavier defeat. Last summer at Chelmsford, the Eagles were the victors at Chelmsford by nine wickets with Chopra making 98 and Jamie Porter taking 4-29 as the Eagles strolled to victory in only the 32nd over.